One of the major challenges of finishing loads of small, delicate parts is that the stock baskets that come with a particular parts washing machine aren’t optimized for such parts. For example, when parts are smaller than .22” in diameter, the spacing of the wire mesh on a stock basket that comes with a washing machine might be too wide, allowing parts to fall out of the basket and float loose in the washing cycle. 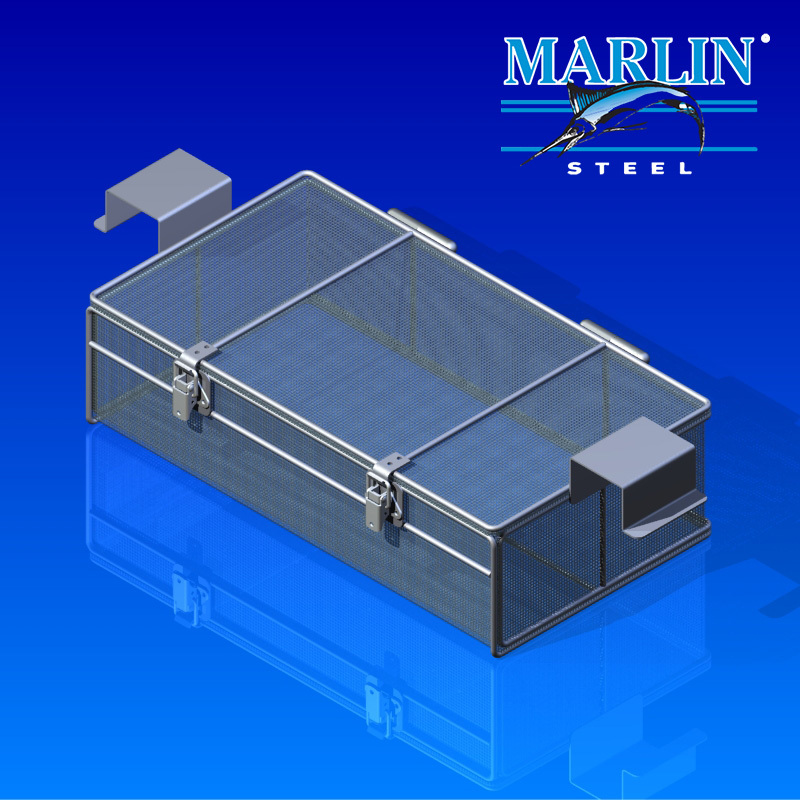 Marlin’s engineers were able to quickly design a new basket that not only had more tightly-spaced wire mesh, but was better able to take the punishment of the customer’s isopropyl alcohol (IPA) based ultrasonic parts cleaning process than the stock basket. A hinged lid with latches was also added to make sure that small parts could not float out of the top of the basket either. With the right basket, you can make sure your products are washed and finished quickly while minimizing the risk of parts being lost or damaged during the finishing process.